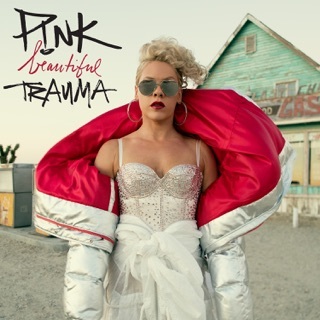 Following in the footsteps of her comeback album "I'm Not Dead", P!nk delivers an album mostly filled with ballads, nothing at all like her upbeat pop/rock filled previous two album. 1. So What: 10/10 -> Lead single, easily the most upbeat track on the album. 2. Sober: 9/10 -> Second single, rock ballad, pretty good. 3. I Don't Believe You: 7/10 -> Pretty good ballad with nice lyrics, but it drags on. 4. One Foot Wrong: 6/10 -> Messy track that doesn't really work well. 5. Please Don't Leave Me: 10/10 -> Very good ballad, one of the top two on the album. 6. Bad Influence: 6/10 -> Starts out good, but even for a 3:36 long track it does drag on just half way through. 7. Funhouse: 11/10 -> My favorite on the album, with some dark lyrics, including the f-bomb towards the end. 8. Crystal Ball: 8/10 -> Nice ballad, it's got some great lyrics too. 9. Mean: 8/10 -> Nice ballad, on par with the previous one. 10. It's All Your Fault: 10/10 -> Very nice semi-upbeat track, a MUST have for lovers of I'm Not Dead. 11. Ave Mary A: 6/10 -> Has a good opening, but it turns into a mess and the lyrics aren't too great. 12. Glitter In The Air: 11/10 -> The best of the ballads, beyond pretty lyrics, and a very beautiful song. P!nk's Best Yet. And that's saying a lot. To start off, I must disclaim. 1) I actually own the album Can't Take Me Home. Most Girls was my anthem for quite awhile there. 2) M!SSUNDAZTOOD also happens to be in my CD collection. That was the album that got me through my parents' divorce. 3) Try This also made it in my CDs. And I probably know every word to every song. Still. 4) I don't own I'm Not Dead. I was starting to have a change of heart about P!nk, and questioning if she was abandoning her blues and rock influences far too much for her to realize. I'm buying it soon though, no worries--cause my P!nk has redeemed herself with this wonderful CD. So needless to say, I know P!nk and her style. She's the one who writes the albums people tell her she can't write. She's one of the few who can take blues, R&B, pop, rock, techno (listen for it! It's SO there! ), and punk angst, push it in a blender--and voila! MIRACLES! I knew from the release of So What that my angsty, honest, pop a bubble in your face and flick you off, dearly beloved P!nk was back to take over my ears yet again. Her lyrics have skyrocketed in quality--there's a poetic sense to it that, when written out, could belong with modern poetry in my AP Lit textbook. Seriously. She's upped the ante in all she does. She says "You clearly like me. You've liked me for awhile. So let me give you more of me. BAM! Take THAT b*tches!" And out pops this CD. But why do we like it so much? It's honest. I can't stress it enough. She's honest, genuine, deep--I don't care how you say it, she's writing about real emotions she's really felt. Her ups and downs with Carey and their divorce is resonanted on this album, and it's nothing short of beautiful. There are so many who sugar-coat love songs, but P!nk is one of hte very few I can take a love ballad from. It's raw. It's like you can picture her crying on the bathroom floor singing these words. Then you sit down with her, she cheers up, starts turning her sadness into anger to dance away and throw in faces. And that's exactly what we want. Think back to the days of M!SSUNDAZTOOD. Remember Misery with Steven Tyler? (GO BUY IT IF YOU DON'T SILLY BEES!) That could fit here. So could Trouble. And U + Ur Hand. And yet, it's SO much better than any of these. And that's saying a lot. My verdict? You're doing your ears a disgrace if you don't buy this. Now. You should have preordered it. Cause there's not a track on there that should have been cut out. PS--P!nk, if you ever read this, I'm praying for you, girl!! Divorces stink, I don't care who you are, and you're being the most responsible "divorcee" I know of, besides my mom. You rock! Pink finally releases her highly anticipated fifth album "Funhouse". 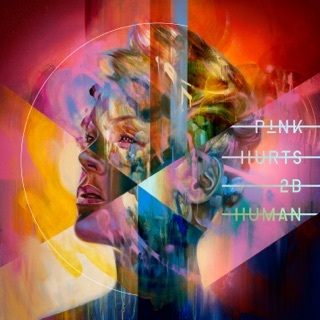 After a failed marriage, Pink of course relates most of the songs to the situation. The producers she worked with on this album include Al Clay, Billy Mann, Butch Walker, Danja, Greg Wells, Eg White, MachoPsycho, Max Martin, Jimmy Harry and Tony Kanal. 1. "So What" - 5/5 - The first single from the album, and clearly one of the best singles of 2008, Pink revived herself from the fallen marriage with this parading, fun single and taking the divorce very lightly. Max Martin did excellent, upbeat production here. 2. "Sober" - 5/5 - A mash up of three producers (Danja, Kanal, Harry) makes this track very special. The meaning she gave for the song was that she was having a party at her home, and she almost didn't realized what she was doing, giving her an almost empty feeling. A deep, truthful track, a must buy. 3. "I Don't Believe You" - This song is truly heartbreaking. It's all about the marriage gone to shreads and how she doesn't believe he wants their relationship over. The simple piano/orchestra beat makes this track even more wrenching. Another must-have and a beautiful song. 4. "One Foot Wrong" - 3/5 - Not that keen on this song but it gives an almost tounge-in-cheek with a more happy beat and melodramatic lyrics. Like I said, not a favorite and a little weaker than the previous three tracks. 5. 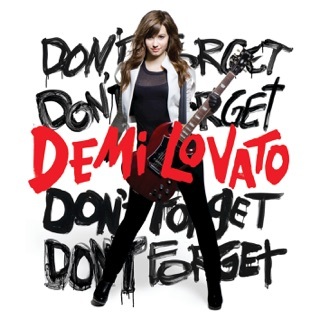 "Please Don't Leave Me" - 5/5 - Another great instrumental from Max Martin makes this song amazing. The lyrics explain how she didn't want Hart to leave and how she may still want him back. The beat and the way she sings gives off a sing-songy kind've feel and makes it enjoyable. Great song and excellent beat, you can also feel the pain in her voice. 6. "Bad Influence" - 5/5 - Here's what reminds me of the work on her previous album ('I'm Not Dead') and what I miss. The upbeat, fun, out-of-control Pink is the best kind, and she comes off best on production and lyrics that fit well with her. She explains how she was a 'bad influence' on the person. Must-have. 7. "Funhouse" - 5/5 - My second favorite on the album. The fun Pink is back! This has got to be the catchiest, bitchiest song on the album and it makes it great with revengeful lyrics that also come off as tounge-in-cheek. This has to be a single in the future. Tonny Kanal and Jimmy Harry conjoined to make another awesome track for the album. 8. "Crystal Ball" - 4.5/5 - An acoustic, almost-country feel song. It's sweet and endearing, and makes her sound most vulnerable as if it's almost live. The lyrics are very spiteful and sad. Another nice track produced by Billy Mann. 9. "Mean" - 3.5/5 - This may be the most country sounding song on the album and the most opened about the divorce. The song's lyrics ask how they got so 'mean' and explain why. Another break-up song, nothing too special. 10. "It's All Your Fault" - 5/5 - My favorite song on the album. She tells her ex that's it's all his fault and how she wishes it never ended. The instrumental is very weird but that's what makes the track so good, as it starts off with a simple electric piano beat, and as it reaches the chorus it turns instantly into a free-for-all of an electric guitar, drums, and other percussion involved. The must-have of all the others on the album. 11. "Ave Mary A" - 4/5 - Semi-ballad, semi-upbeat. She's begging for help from 'ave mary a' to help hold on with all the chaos and bad things going on around her. Another nice track, but once again, nothing special. 12. "Glitter In the Air" - 5/5 - Beautiful stripped down track, basically just Pink and a piano, plus simple guitar strums here and there. You just need to take a listen to the lyrics and realize the pain. It was also produced by Billy Mann. And as the album closes, you're left feeling like this may be her best album yet. For a couple missteps, 'Funhouse' is everything I, and others could have wished for with such a title for the album. Can't wait for her future release and the more to come. The song's you should look into are "Sober", "I Don't Believe You", "Please Don't Leave Me", "Bad Influence", "Funhouse", "It's All Your Fault" and "Glitter In the Air". Great album Pink. 9.5/10.